The Trust has supported the publication of a selection of the correspondence between Marie-Louise von Motesiczky and Elias Canetti (1905-1994), the writer who left Vienna in 1938 at the time of the Anschluss, settling in Britain until the 1970s. A Catalogue Raisonné of the Paintings by Ines Schlenker, Hudson Hills Press, New York, 2009.
was published in 2007 by Yale University Press. Towards the end of her life, major exhibitions in London and Vienna brought Viennese artist Marie-Louise von Motesiczky (1906-1996) wide acclaim. The great art historian, Ernst Gombrich noted the artist’s striking individuality and praised the delicacy and subtlety of her painting. Motesiczky had at last gained recognition as one of Austria’s most important 20th-century painters. 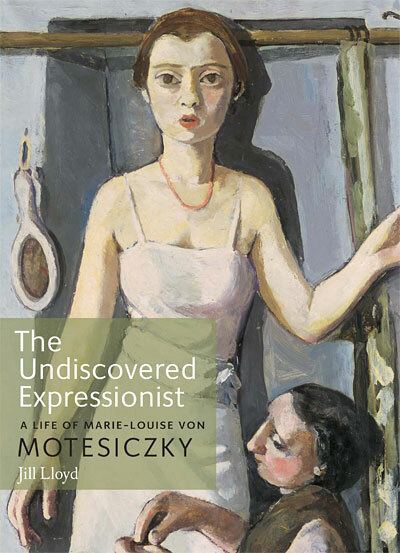 This book, published shortly after the 100th anniversary of the artist’s birth, celebrates Motesiczky’s work and situates the artist in the troubled history of her times. 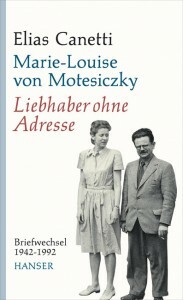 Drawing on a wealth of unpublished family archives, including decades of correspondence between Marie-Louise and the writer Elias Canetti, the book tells the story of Motesiczky’s life: her childhood in Vienna amidst an array of talented and distinguished family members; her life-long friendship with Max Beckmann; her studies in Vienna, The Hague, Paris, and Frankfurt; her flight with her mother when Nazis marched on Vienna in 1938; and her many years living and working among other exiled artists in England. The book also offers a sensitive critical study of Marie-Louise’s paintings, discussing particular works and the circumstances that surrounded their creation. These include compelling self-portraits, a moving series of paintings of the artist’s aging mother, and lyrical depictions of her English garden that represent the high points of the artist’s achievement. 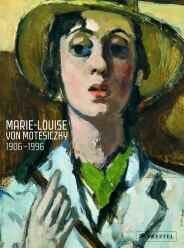 Marie-Louise von Motesiczky 1906-1996.The Painter/Die Malerin, exhibition catalogue, Tate Liverpool, Museum Giersch, Frankfurt a.M., Wien Museum, Vienna, Southampton City Art Gallery, 2006. On the occasion of the one hundredth anniversary of the artist’s birth, this catalogue presents for the first time an overview of Marie-Louise von Motesiczky’s paintings in an elegant volume of full colour reproductions accompanied by illuminating commentary. Born in Vienna, she studied with Max Beckmann, who became a significant influence on the young artist. 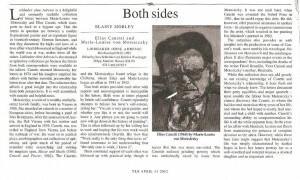 Later, in exile in London, Motesiczky grew close to Oskar Kokoschka and became acquainted with some of the leading intellectuals of the twentieth century, including Elias Canetti, with whom she shared a long and intimate relationship. The paintings and drawings in this book explore the artist’s transition from the edgy realism of her early years to the softer and more poetic paintings of her later work. Her portraits, for which she is most famous, include compelling self-examinations as well as a moving series devoted to her mother. Essays on Motesiczky’s youth in Vienna, her friendship with Beckmann, and her time in London provide crucial background to a unique and fascinating artist whose wider recognition is long overdue.